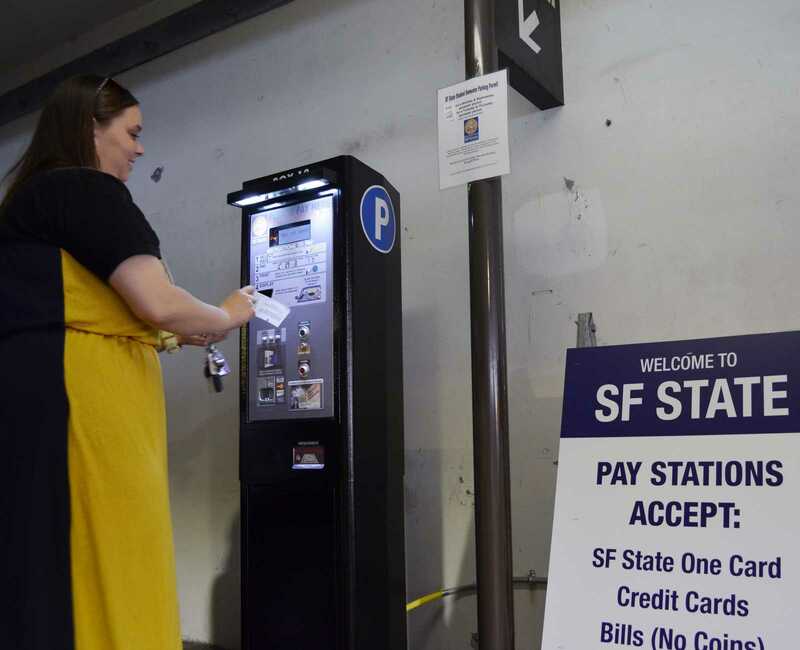 Students still need to circle the multiple levels of the parking structure at SF State, but now no longer need to be worried about having exact change to pay. Lot 20 by Cox Stadium is the only parking structure on campus where students, visitors and the general public can park for a whole day with a $6 pass or two-hours with a $3 pass. Before school started last month, the pay stations were upgraded to accept credit cards and SF State OneCards. Morel said he now uses his credit card to pay for his parking space. According to the University’s Parking and Transportation Department, the machines were old and needed to be replaced. The new stations cost approximately $250,000, and it will cost about 10 percent of that to maintain the machines. Half of the payments on the machines are credit card and OneCard payments, according to the Parking and Transportation Department. The revenue generated from paid parking supports the campus parking lots and shuttle service. Student Julia Flores, said she is “skeptical” about the new machines. Aside from identity fraud, she is worried she might mess up the transaction. “If I don’t do it correctly I’m not going to get the right ticket,” Flores said. Students can also buy semester parking permits from the Bursar Office for $192 in Monday and Wednesday or Tuesday and Thursday blocks. However, only a few Monday and Wednesday permits are still available. The other alternative is to find free street parking in Park Merced at one, two or four hour intervals.